The College of Studies Graduate (CGS) is an administrative unit in the Division of Academic Affairs. The Dean and the staff of the College work collaboratively with all academic and administrative units of the University to serve the needs of the graduate community at UAEU. Although the CGS is a relatively new organizational unit in the University, UAEU has a legacy of offering quality graduate education since 1991. Over the last decade, our menu of graduate programs has expanded significantly to over 35 graduate degree programs at the Master’s and Doctorate levels with different orientations (professional and academic), which are offered by the nine different academic colleges. Welcome to the College of Graduate Studies (CGS) at UAEU— the flagship, research-intensive university of the UAE, where the student as a person is at the core of our mission. 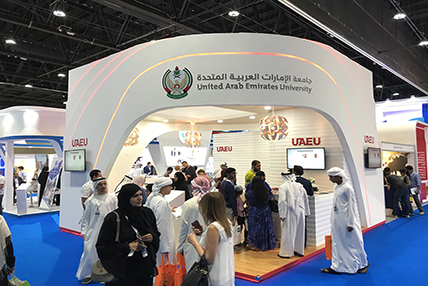 Although the CGS is a relatively new organizational unit in the University, UAEU has a legacy of offering quality graduate education since 1991. UAEU offers a diverse set of graduate degree programs at the Master's and doctorate levels of different orientations: professional and research-based. 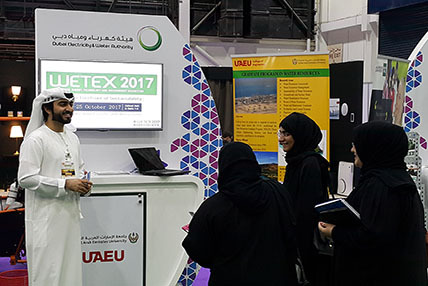 Although the graduate programs are offered at the main campus in Al Ain, some of the professional programs are also conveniently offered in Abu Dhabi. Students join an institution that has a legacy of offering quality graduate education since 1991. The first in the nation! Ranked among the best 400 universities in the world and internationally accredited by WASC. 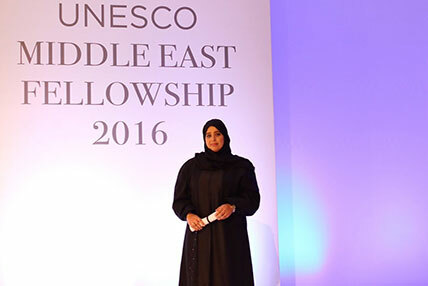 UAE Nationals make up over 50% of the graduate student population! The graduate student population at UAEU has a rich diversity of backgrounds and cultures, with students of 49 nationalities! Students have access to several financial support packages in the form of scholarships, fellowships and assistantships! Students benefit from a series of free services such as workshops, training sessions and other extra-curricular activities. And most importantly, students will be served by a staff who care about them and who are committed to making a positive difference in graduate education! Students will be taught and supervised by top-notch faculty who are globally known experts in their discipline fields! Students have access to a very comprehensive menu of graduate programs offered in 9 different colleges with national and international accreditations! The new UAEU campus features the most modern architecture, zones for specialized research centers, cutting edge IT network infrastructure, classrooms and labs that feature the latest equipment and instructional technology to enhance student learning. Students will join a community where half of the students study full-time and most of them are engaged in cutting-edge research! As the UAE’s national university, UAEU recognizes the responsibility of the university and our graduates to contribute to the wellbeing of the broader community.